The F700’s weak front suspension has finally been cured. All it took was new internals and some know how. 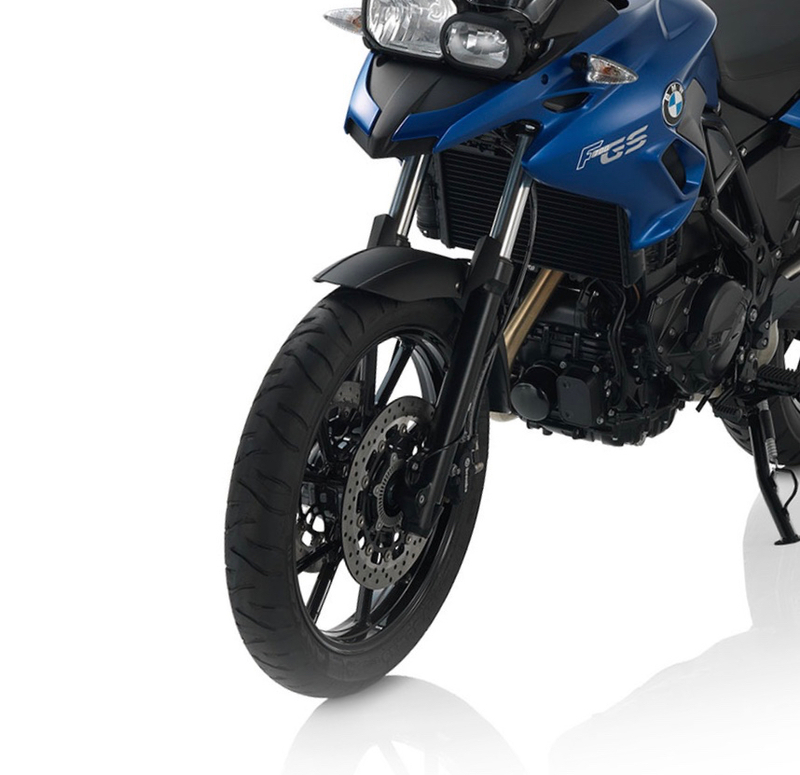 There’s one thing that’s always annoyed me about BMW’s F700GS. I wrote about it when I first rode one and brought it up again after I bought one. It’s the front suspension. A pair of telescopic forks that are surely one of the weakest, most budget conscious set-ups of any ‘premium’ bike currently on sale. They offer as much adjustment as they do damping (i.e. none) and manage to detract from the look of the bike almost as much as they hinder actually riding it. 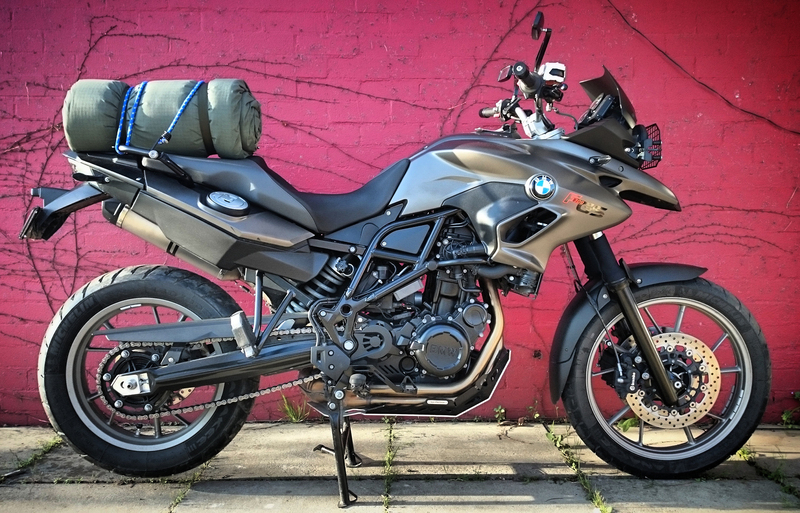 While the F700GS’ more athletic twin brother, the F800GS, gets a set of 43mm upside down forks, the F700GS makes do with the previously mentioned 41mm ‘regular’ forks. 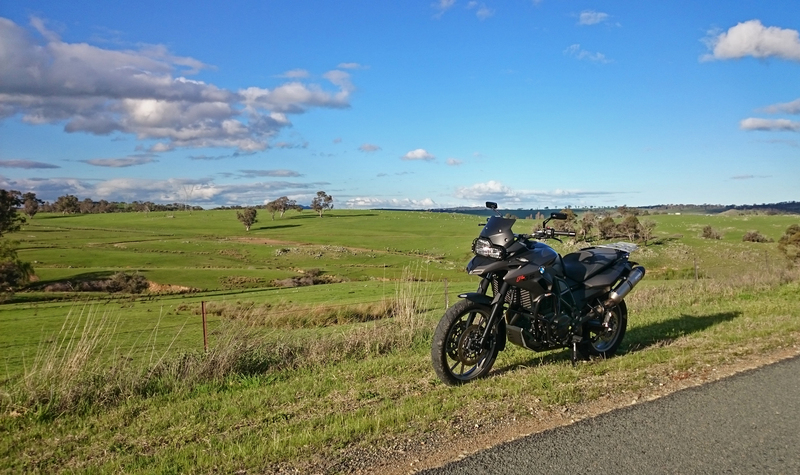 This is partly due to the F700GS’ more road going nature, but really, it’s a cost saving measure that allows BMW to sell them for around $4000 less than its more rugged sibling. While the look of these conventional forks has always irked me somewhat, the fact that they don’t actually do a very good impression of suspension has been the biggest issue. While it’s rare to see conventional forks and not the upside down variety, they can be made to perform almost as well as their more popular brethren for not a lot of money. It was under brakes that the standard forks really showed their weakness, diving harder than a premier league soccer player. They were also fairly useless at dealing with short, sharp bumps, often allowing the front wheel to leave the ground on imperfections that wouldn’t trouble most other bikes. Team these two traits together and under hard braking on rough surfaces (most Australian roads) the front suspension would allow a huge transfer of weight to the bike’s front wheel. This not only caused the forks to bottom out fairly regularly, but also worked the front tyre harder than it should – resulting in excessive tyre wear and many a front-end slide. But that’s all in the past now. After finally biting the bullet and upgrading the internals of my front suspension I’m wondering why I waited 9000kms to do it. The upgrade consisted of slightly stiffer springs, modified damper rods, a set of emulators and some fresh fork oil. These four things have resulted in a bike that now out performs the more expensive, better equipped F800GS on road. Compression damping in a fork like the F700’s is controlled by the number and size of the compression damping holes in the damping rod and the viscosity of the fork’s oil. The modified damper rods, quite simply, have more holes drilled in them reducing their effect on compression damping, as this task is now taken over by the emulator. The emulator, which sits on top of the damping rod, is adjustable and allows someone who knows what they’re doing (not me) to fine tune high, low and mid speed compression. In other words, when teamed with a slightly stiffer spring, the bike now feels firmer, yet more comfortable. My biggest irk, the excessive dive under brakes, has been drastically reduced and while still present it no longer feels like the front tyre is being worked quite so hard on corner entry. The feeling of the front wheel leaving the ground on abrupt bumps has all but disappeared and while you can notice the stiffer spring, it feels more controllable and forgiving. All this for under $600. Country roads and their pimply surface are no longer as big of an issue thanks to the clever front-end fettling. While the spindly form of the forks remain, their function has been brought up to a level that I’m finally happy with. If anything, it has highlighted the rear suspension weakness and its lack of damping adjustment. While I can thumb a switch and choose between comfort, normal and sport, none of the settings so far seem to gel completely with new front end. I’m yet to take the bike off-road with the rebuilt front end, but all signs seem to point towards the F700GS’s biggest flaw being rectified. This bike is fast becoming the consummate all-rounder – now to find an extra 20 horsepower…I can dream. Suspension work undertaken by Suspension Smith in Fyshwick, Canberra. For a more detailed description of how an emulator works, check out Race Tech’s resource here.